The University for the Creative Arts (UCA) has appointed conceptual artist Professor Bashir Makhoul as Vice-Chancellor. Professor Makhoul will join UCA from Birmingham City University, where he was Deputy Vice-Chancellor with strategic leadership for academic development, student recruitment, marketing and internationalisation. Previously, he was based at Southampton University as the Head of School for the Winchester School of Art. 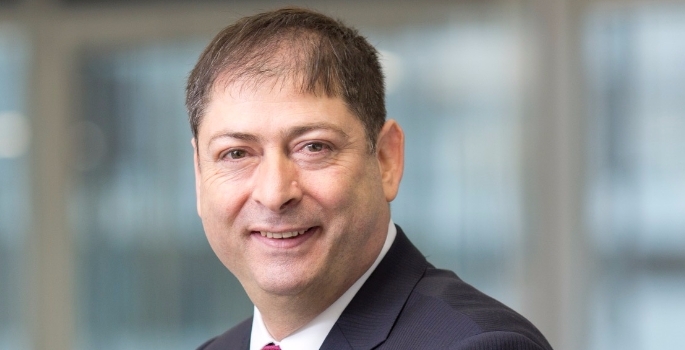 His appointment marks the first time a Palestinian academic has been appointed to the top position at a British University and it is believed to be only the second time an academic from a non-Western background has been made Vice-Chancellor in the UK. In an academic career spanning 22 years, Professor Makhoul has specialised in creating overseas partnerships and has spearheaded the creation of two Chinese campuses: the Birmingham Institute of Fashion and Creative Arts in Wuhan, and Southampton’s first overseas campus in Dalian, China. He speaks rudimentary Chinese and is fluent in English, Hebrew and Arabic. Alongside his academic career, Professor Makhoul is a prolific writer, editor and artist. He maintains a studio in Beijing and has exhibited at a range of high-profile venues and events including the Hayward Gallery, Tate Liverpool, 2013 Venice Biennale and the Aichi Biennale in Japan. Currently his work is on show in Australia, Liverpool and Beirut, with a large exhibition in Mexico planned for next year.